When teaching kids the fundamentals of compound interest, teachers ask: “Would you rather have R10,000 per day for 30 days, or a cent that doubled in value every day for 30 days?” At first glance, most people are likely to choose option 1. But when you do the math, you see that with option 2 you’d have about R5 000 000 at the end of 30 days, compared with R300 000 if you chose R10,000 per day. Albert Einstein was a huge fan of compound interest. He’s rumoured to have referred to compound interest as the greatest mathematical discovery of all time, and to have called it the eighth wonder of the world. There is definitely something magical about compound interest. Compound interest is the interest you earn on the money you start with PLUS all the interest earned on the interest that has accumulated over time. Contrast this with simple interest, which is the interest you earn on the money you start with ONLY. 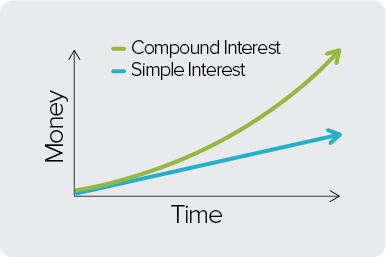 You can see that the compound interest line increases at a much faster rate than the simple interest line. Think of it as a thin kid getting really fat fast, compared with a fat kid getting fatter gradually over time. Are you familiar with the term “gains”? If you’re a gym junkie you should know all about gains. If you aren’t following, gains are just another word for growth. 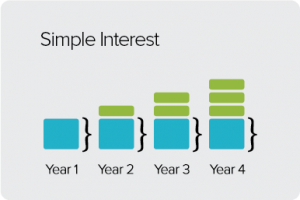 Compound interest is all about the gains. Or, more accurately, the gains on gains (a gym junkie’s dream). Let’s go through a quick example. If you have R100 and invest it so that it grows at 10%, it will be worth R110 after the first year. You’ve made R10. If you invest that R110 for a year you’ll end up with R121.10 after the second year. In the first year your gains were R10 but after the second year your gains were R11.1! That’s gains on gains! It’s important to know that this example used really small numbers, so the gains were small. 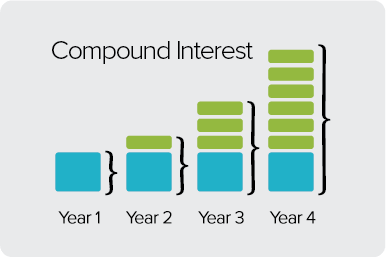 With larger numbers, compound interest really starts to get impressive. But where the real magic is revealed is over TIME – compound interest’s best friend. And the more time your money has to grow and gain, the more magic it performs. Warren Buffet says “don’t work for your money, make your money work for you.” Compound interest is one way to make your money work for you. And the longer you leave the money, the more work it does. That’s the benefit of time when you do invest, but there’s also the cost of time when you don’t invest. Have you heard of “opportunity cost”? Basically, it’s the cost of NOT doing something. 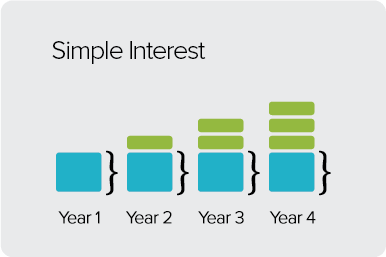 When it comes to compound interest, not investing is a huge opportunity cost. Each year that you’re choosing not to invest hurts future you. If you have 40 years until your retirement, every year that you delay growing your money now may be the difference of about 3-5 years’ worth of savings after you retire. So if you’re thinking, “ah, I wish I had extra money to save but I just don’t right now”, don’t. Chances are you will always feel that way and never save. A lot of people try to save what they don’t spend, rather than spending what they don’t save – in other words, save first and then you can spend what’s left. If you spend first, there’ll never be money left to save. You don’t have to be wealthy to start saving and investing, and if you start early and put money in regularly, the magic of compound interest will work for you. 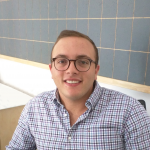 Great article Jared, the importance of compound interest and the utility of the Rule of 72 cannot be understated. To build upon your article, I would recommend to everyone to do a free course on investment (basics) that takes only a few hours on a free learning site such as Khan Academy.